7th & Lotus: No That’s Not Asap Rocky, Its Japan Okay! So this picture has gone viral all over the internet and is being shared by every blog that you can think of. Interestingly so many people think its Teyana Taylor and Asap Rocky and I’m sitting hear like really?? C’mom people that is none other then the fabulous celebrity Make Up Artist and Model, Japan of Japanese Faces. Yes I can see a little similarity but considering his body of work, you should all recognize the fierceness and beauty that could only come from Japan and his high cheekbones and exotic features. He is definitely any fashion brand’s dream come true as he fits the bill for all thing print and runway. So I get it. 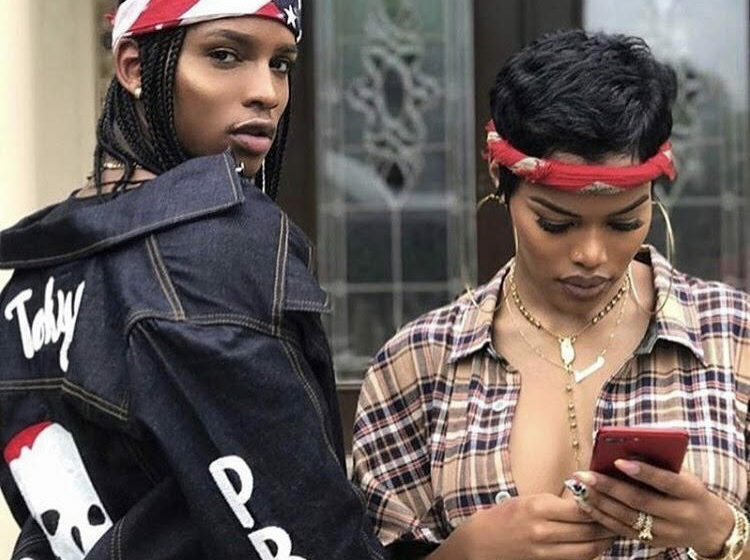 Anyway, Japan works with the beautiful Teyana Taylor who just dropped her amazing video and he works with a slew of celebrities and media entrepreneurs such as myself. He is the go to #MUA when you are looking for that unbeatable beat that accentuates your features in a way that only a cultured and experienced make up artists can capture. Yup it could be Japan. Check out his work on IG and look out for his upcoming contribution on “Make-up Must Haves for the Summer” on Huffington Post.